New MINI cassettes for Philips analog dictation machines, LFH0005. 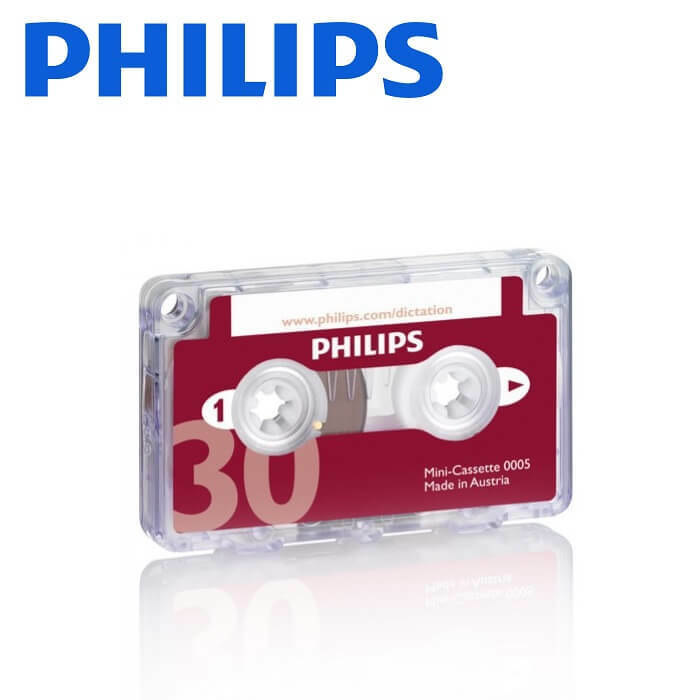 The Philips 0005 Mini Cassettes come in a box of 10 cassettes, and can be used with all Philips Analog Pocket Memos and Desktops mini- cassette dictation machines. The cassettes come with high quality 15 minute recording space per side.